More than a year ago I went on a mission to conquer making meringues. It took me a few months and several dozen eggs worth of trial and error but eventually I figured out the technique and now I am a meringue making machine! Last Easter I took my new skill to a new level and experimented with a number of flavor combinations. It was another case of trial and error. The mint meringues tasted like toothpaste and the lavender meringues were more soapy than sweet. The clear winner of all the flavors featured toasted coconut and rum extract. It was so good I made sure to revisit it this year. I also revisited the mint and lavender flavors but with some significant modifications. Rather than rely on extract I used finely a diced dark chocolate mint candy bar from Seattle’s Theo Chocolate to flavor my cookie. 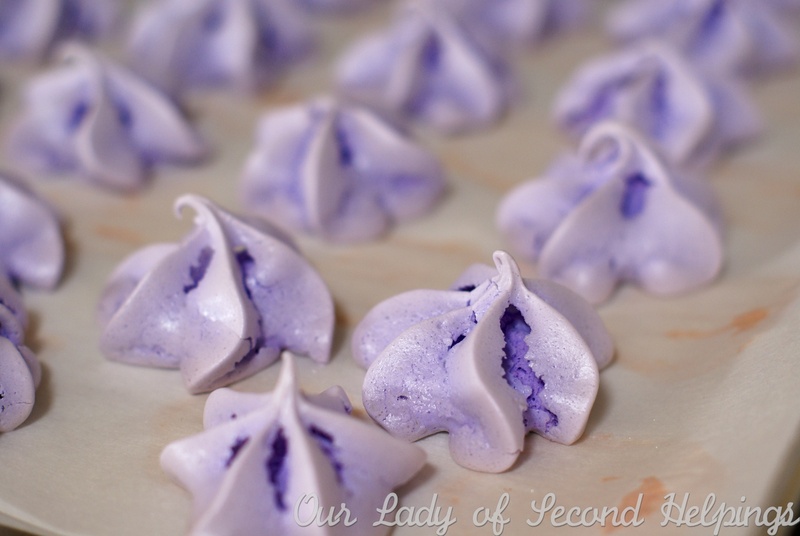 The result was more “mmmmm” and less “ummmm?.” To eliminate the guest bathroom soap factor in the lavender meringues I reduced the amount of lavender in the mix and added a bit of lemon. The bright citrus flavor of lemon is a perfect balance for the deep floral taste of lavender. Humidity can keep egg whites from becoming fully meringues. The cool humid environment Pacific Northwest in the spring contributes an added level of difficulty to this cooking project. I try to avoid making a batch on a rainy day. To help combat the humidity I often crank up the heat in the kitchen a short while before I begin. It also helps to let the egg whites warm to room temperature. It is really fun to learn a new skill but the learning doesn’t stop with the first success. If practice makes perfect I still have a very long way to go but I am pretty proud of this Easter’s colorful meringues. I hope you’ll try making a batch of these tasty treats yourself. 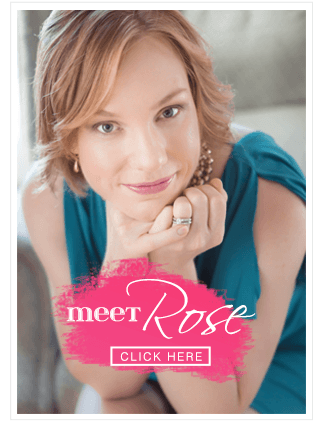 If they don’t turn out on your first attempt keep trying – if I can do it you can too! Small crisp cookies with a marshmallow like center. A wonderful blank canvas for many flavor combinations. Line two baking pans with parchment, brown paper, or silicone baking mats. Preheat oven to 250 degrees. Gather all the ingredients within arms reach of where you are working and pre-measure the sugar and cream of tarter. Using medium speed – whip egg whites and salt to a froth then add the cream of tarter. Increase mixer speed slowly as the whites thicken and increase in volume. They will begin to look like marshmallow fluff. Sprinkle in sugar about 1/4 of a cup at a time. Whip in each portion before adding the next. Continue to beat at a medium high speed. Add in any flavor extracts or food coloring. The whites will continue to thicken becoming stiff and glossy. They are done when you can hold the bowl over your head upside down and stay clean. Once the meringue is stiff and glossy, fold in any additional ingredients. Spoon the meringues batter onto the prepared baking sheets. Use less than one tablespoon per cookie. If desired, spoon the meringue into a piping bag and pipe the cookies onto the baking sheets. Bake in oven preheated to 250 degrees for 30 minutes. After 30 minutes reduce heat to 170 degrees for an additional 30 minutes. For a marshmallow center remove from the oven at this point. For a crispier cookie – Turn the oven off and leave the door closed until the meringues have reached the desired crispness. The longer the meringue remain in the oven the crispier they will be through out. When cooled store in an air tight bag or container. Meringues are best when eaten within 48 hours of baking but should keep their texture for up to five days. Dark Chocolate Mint: 1/2 teaspoon coco powder, 30 oz. finely chopped Theo Chocolate Dark Chocolate Mint bar. Raspberry: 1/2 teaspoon raspberry extract, 1/2 cup freeze dried raspberries, crushed. Click here for Toasted Coconut Meringues. 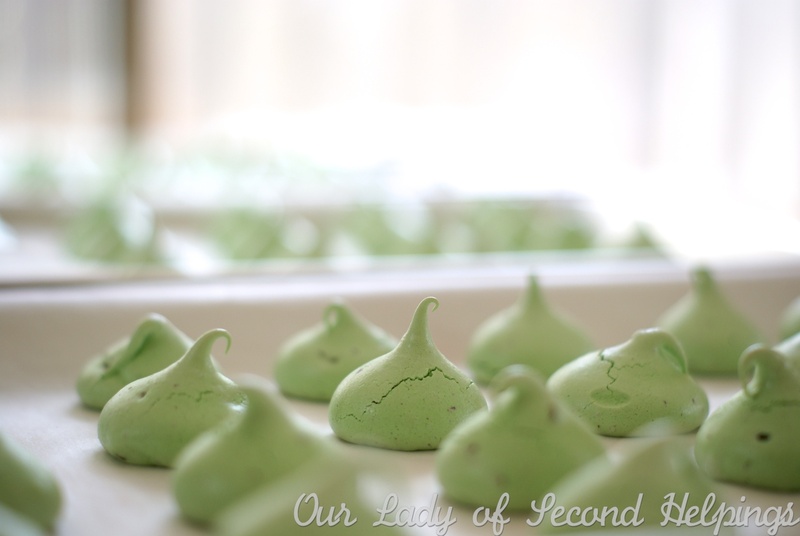 Click here for Peppermint Candy Meringues. I saw you on TV today. Loved it and now I have you in my favorites!! Saw you on TV today. Congratulations!!!!! Those are so pretty! Id say youve mastered the art of meringues nicely. The raspberry ones are my favorite! These are amazing. Can you substitute trivia or Splenda in the meringue recipe? Oh yum. There is nothing like a homemade meringue. Store boughts are always sickeningly sweet and taste chemically so I haven’t had meringues in a few years. Looks like this will be the Easter to revisit the tiny little clouds of scrumptiousness. I look forward to trying your recipe and flavour combos. Great post!